The Arab coalition has deployed 3,000 troops and battle tanks in Aden, Defense News reported. Images posted on Twitter in the past 24 hours show UAE’s LeClerc main battle tanks and BMP armored vehicle, including M-ATVs, being offloaded on to a port in Aden. 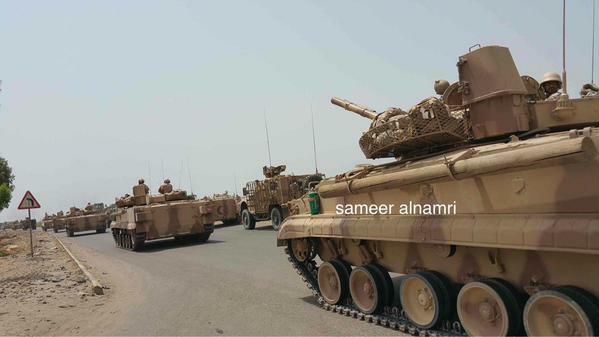 Images also show UAE armor units reportedly on their way to Al Anad air base, north of Aden. 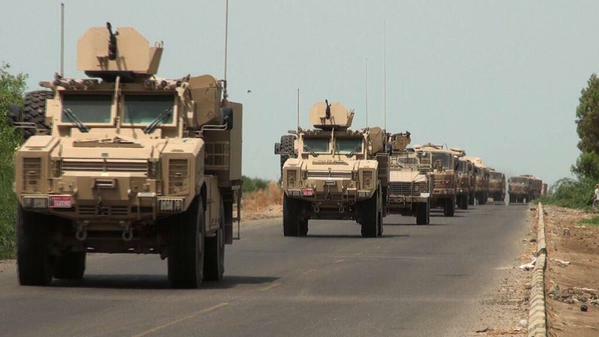 The Arab coalition-led Popular Resistance forces have surrounded Al Anad for the past week and with the arrival of UAE armored units could now move to capture the strategic airbase, Yemen’s largest. Again, Aljazeera reports they've already taken the western part of the air base (Al-Anad). Yes, Reuters also is reporting the recapture of Al-Anad. Please see our new post.